When I tell stories about growing up with my family, they are riddled with family traditions – whether it be annual vacations or holiday traditions, family traditions have always been a part of my life. Some of my best memories growing up are intertwined with our family traditions, and always helped with bonding and creating a positive family connections, even in the throes of sibling rivalry and teenage angst. It has been so important to me to incorporate traditions into my own little family. One tradition that we have started within our family is Friday Night Movie Night. We curl up on the couch together with some snacks and let Andrew pick a family-friendly movie to watch. It has become one of my favourite times of the week – we all get to put on our comfy pj’s and snuggle up together for a couple hours. 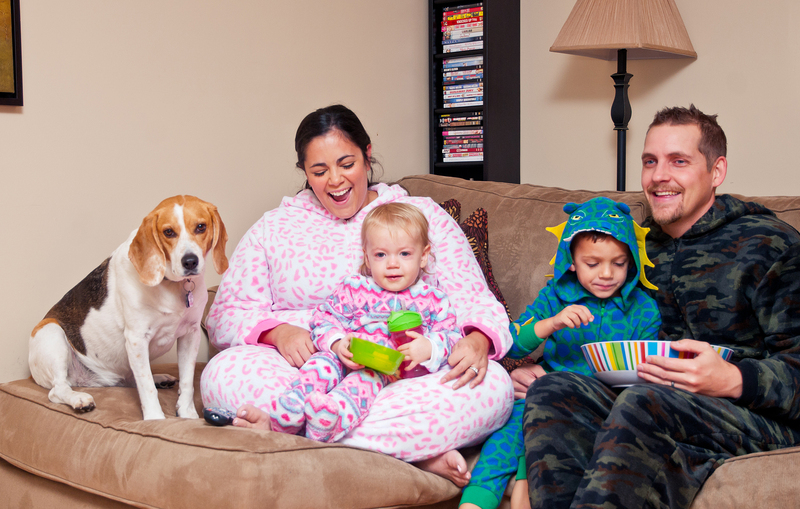 With the weather getting colder, it’s time to get the fireplace going and get into our comfiest loungewear for movie nights. Thankfully, Giant Tiger has us covered at a price that Budget Master appreciates! I picked up cozy onesies for all of us! 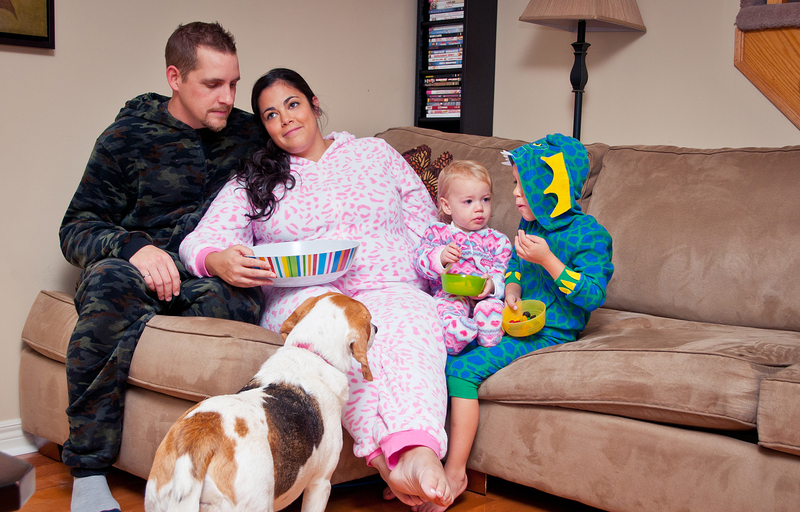 You can buy them for the entire family, from teeny newborns, toddlers, kids, and adults – even have plus size! As an added bonus, I picked up all our movie night treats while I was there too! 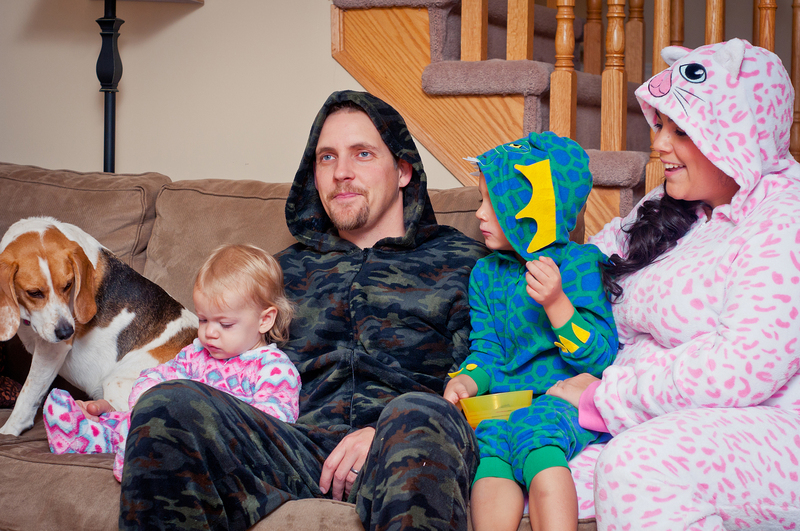 One of my favourite things about the onesies were the hoods – mine was purrrrrfect (hah, see what I did there?!) There is a ton of prints for adults, I picked a cute white onesie with pink hearts – girly and cozy, the perfect combination! Ryan got a manly camo-print onesie (although they did have funny novelty onesies as well!). 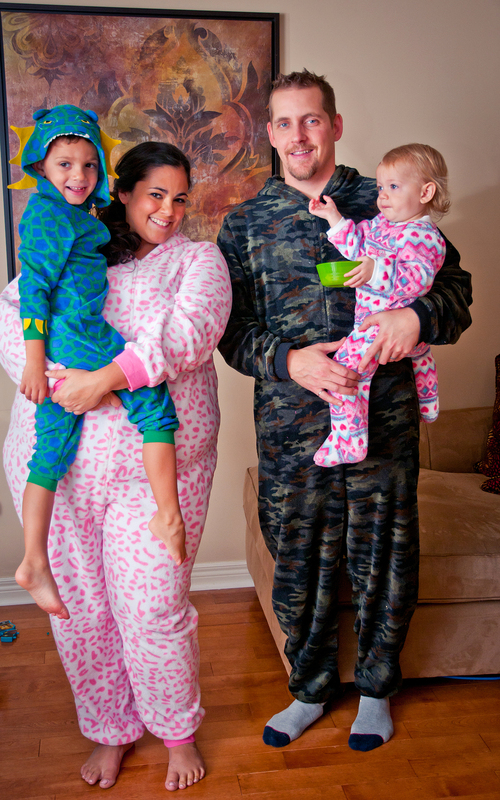 The kids onesies were adorable too – there was a variety or print and animal ones. Andrew thought his dragon onesie was pretty cool with all the details on the hood and body. Lily’s is a sweet pink, white and purple print that is just so adorable for her. The onesies are all so incredibly soft – when I pulled Lily’s out of the laundry, she curled up with it on the floor like a pillow. They are just as soft and fluffy after they have been washed too! 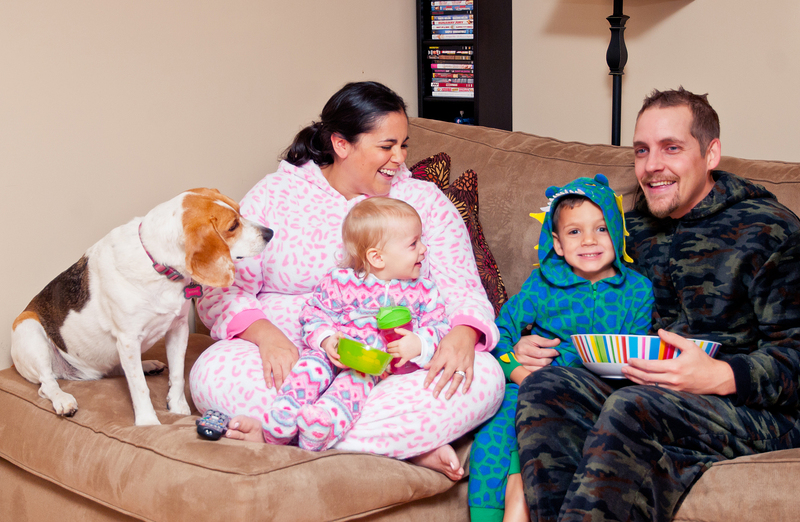 Everyone loves their onesies…and the mom in me appreciated how warm, cozy, and affordable they all are! Even the adult ones were under $30 each! 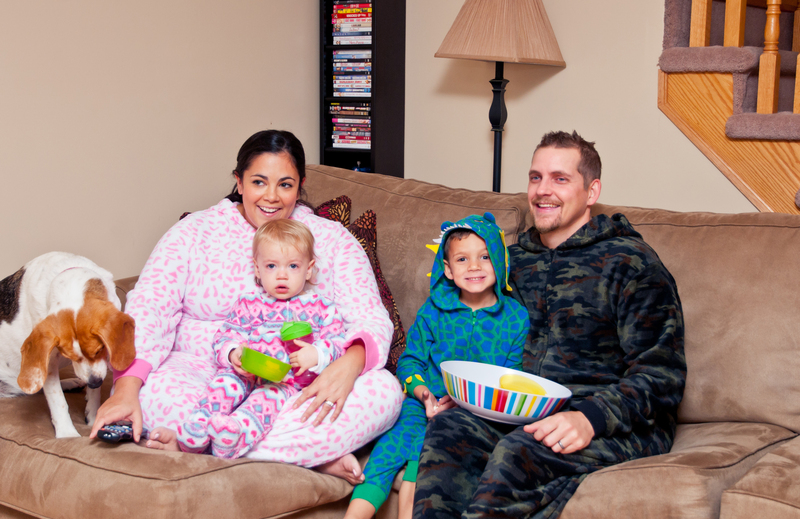 I can’t wait to curl up in our snuggly onesies every week for Friday Night Movie Night! 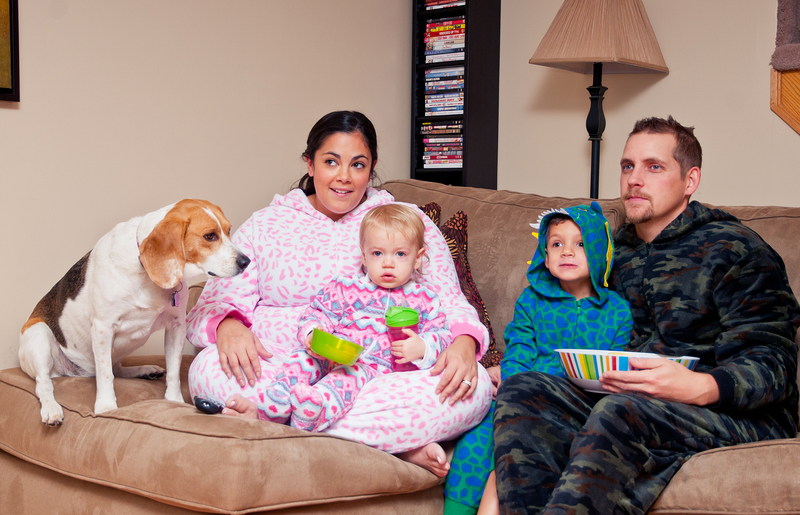 Only thing we need now is a doggie onesie for Sookie…she’s probably silently thanking Giant Tiger right now for not making them. Do you have any family traditions? Let me know in the comments, I would love to hear all about them! 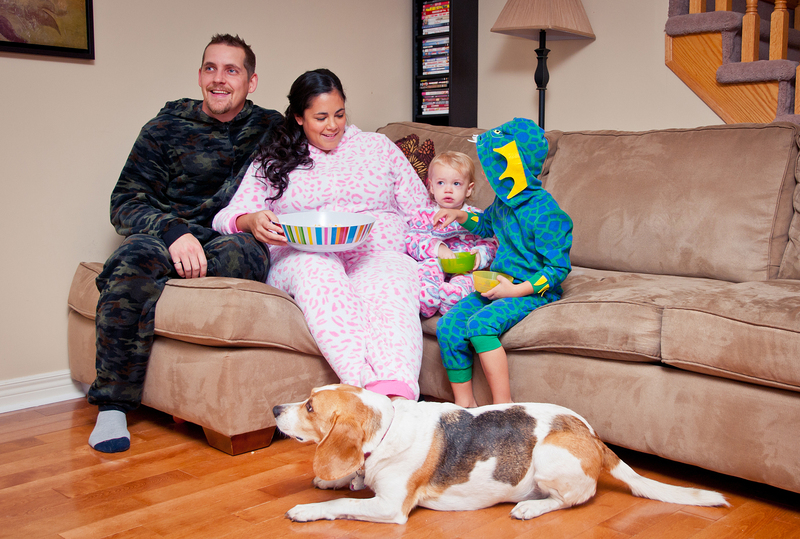 This entry was posted in Fashion, Personal Projects and tagged family traditions, giant tiger, onesies, pjs.